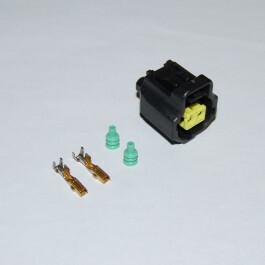 2-pin plug with pins and seals for connecting crank and cam sensors on Ford Duratec engines. Used on our full Duratec wiring loom (harness). Also fit Ford ST170 cam sensor.